Location was close to friends so we could walk to area restaurants. Close to train and bus stops for tourin* the heart of the The City. The ladies at the front desk were very nice. Everything was extremely clean, and the staff was friendly and helpful. 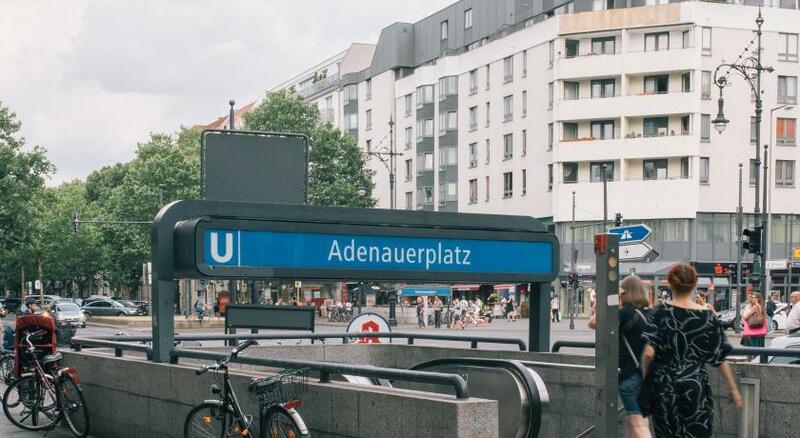 Great location with easy access to the town center and UBahn. Beds comfortable, internet access simple, rooms clean, staff speaks enough English to help, we were pleased. Quiet place near metro station (Adenauer Platz) and central avenues (Kanrstrasse, Kurfuerstendamm). Beautiful area, former West Berlin. Courteous staff. Novum Hotel Franke am Kurfürstendamm This rating is a reflection of how the property compares to the industry standard when it comes to price, facilities and services available. It's based on a self-evaluation by the property. Use this rating to help choose your stay! A 5-minute walk from the Kurfürstendamm shopping street, this hotel offers a large breakfast buffet, rental bicycles and free Wi-Fi. Buses run directly to Tegel Airport, Berlin Zoo and the ICC Exhibition Center. Novum Hotel Franke am Kurfürstendamm is a 5-minute walk from Adenauerplatz underground station and a 2-minute walk from Hochmeisterplatz Bus Stop. Private parking is available for a fee. When would you like to stay at Novum Hotel Franke am Kurfürstendamm? Modern room with a flat-screen TV with cable channels and a private bathroom. House Rules Novum Hotel Franke am Kurfürstendamm takes special requests – add in the next step! Novum Hotel Franke am Kurfürstendamm accepts these cards and reserves the right to temporarily hold an amount prior to arrival. Please note that renovations are currently taking place at the property. This may lead to increased noise during the day, but not in the evenings. Tea making facilities in the room would be good! Hotel is fine. The rooms are comfortable and nicely decorated. The only issue we had was the bathroom was missing a door and the room had a really strange smell. We mentioned it a few times to the staff on reception but no one made any effort to look in to it. Other than that, it was a really pleasant stay. Would be nice with a water kettle in room for making coffee/tea, or other. Pillows for me was no good; too soft. Room I got was new, modern and clean. Hotel is in an quiet area, with lots of cafes, eating places, restaurants and shops. Easy walking distance to Kaiser Wilhelm church, metro close by to city center. Breakfast was fairly good, coffee good. Great value. The glass wall for the bathroom is not handy if you're traveling with a friend. Would have definitely preferred a regular wall. Bad lighting in main room. Everything else is fine though. Great price/quality relation. Good personal and nice clean room. In my visit time, hotel was in renovation. Some issues, like carpets, coating of the walls (the plaster), were not too new, but I hope these things will be improved because of the renovation works. Works for renovation during my stay. It was a simple 3 Star accommodation, price was somehow high for what you got. Uncomplicated check-in and wasn't charged for hotel parking (usually 10€ per day). No kettle and fridge in the room. Almost the same breakfast everyday. Some repairment was on the top floor and repairmen were loud every morning. I would have loved to provide some issues, but I really can't think of anything that is fair to say. This was the perfect hotel after a long journey. I have stayed in two four star hotels (in Saxony, Germany) before visiting this three star in Berlin. I assumed that hotels in smaller cities would provide more value for money and therefore expected the worst form a three star in Berlin. I was so wrong The staff at check-in was incredibly friendly, check-in was fast and a Two Euro discount was offered for booking breakfast the night before. (I took advantage of this deal.) The room was spacious, with all the amenities I received in the four star hotels, with the exception of a minibar. A bottle of water was available (at Four Euros) and two vending machines were available in the lobby (with some snacks and both alcoholic and non-alcoholic drinks). But the highlight of my stay was the breakfast. It had a higher quality and diversity than some four stars hotels I have stayed at. This property is now on my list of places I will visit again.